Satyaa and Pari met in India, in the town of Lucknow, in the Nineties. There was a gathering happening of many people from West and East who wanted to be near H.W.L. Poonja, a “jivan mukta”, an enlightened Being, later to be known as Papaji. He himself had been a disciple of Ramana Maharishi, the Sage from the holy mountain Arunachala. That big city of Lucknow in North India was a special and magical place to be, with daily Satsangs and the possibility to look and find Truth, Peace – or whatever word one wants to put for it. Both had been with Osho before, never meeting each other until those magic years around Papaji in Lucknow. There were many friends gathered who had the common interest – allowing freedom, truth and peace to be discovered as our real nature. Very soon after their meeting Papaji arranged for a vedic marriage and they married in front of him. Life was simple and very easy those days in India. Being absorbed in the bliss of his presence, being reminded of that presence in ones own heart, until all other thoughts or questions melted away in this beauty of loving reality. While the first years in Lucknow Papaji was more focusing on immediate awakening Here and Now and dropping all methods, techniques and spiritual practices, later on with the growing number of visitors, there were many bhakti practices, like singing bhajans, traditional Hindu chantings, many english chants composed by visitors, singing Mantras – or simply sitting quietly, basking in the glow of his presence. Whatever was happening, that endless Silence and Peace was his teaching. He was accepting many invitations to birthday parties, all kind of inaugurations. There was an intense communal living with him with daily Satsangs and spontaneous chanting sessions at his house or in the Satsang Bhavan. It was in this spiritual field of bhakti and love around Papaji, that Satyaa and Pari met in 1995 and started to sing together in Satsang. Papaji often used to call for Satyaa to sing and dance. Once he said: “Satyaa can make people´s mind quiet, when she sings”. Together with Pari and other musicians she sang many times before Papaji and while living in Lucknow she started to compose own songs of Love and Devotion. 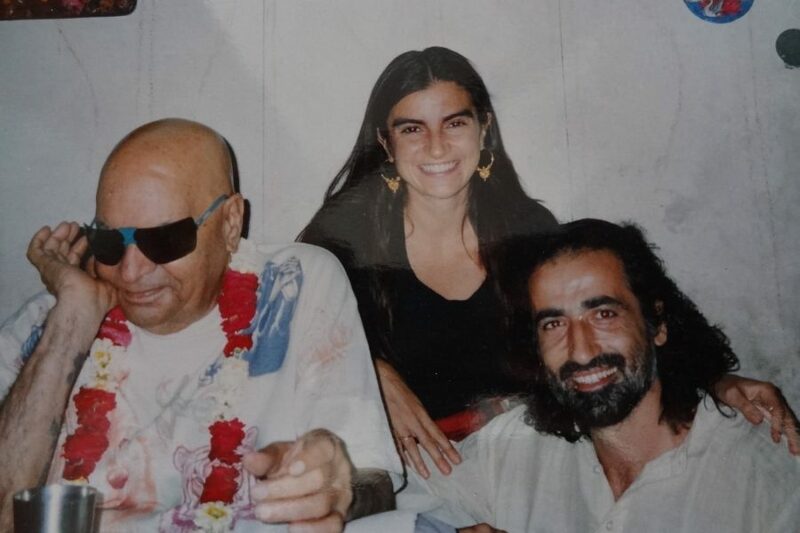 Later on, while living the summers on the island of Corfu, where Pari was co-leading and running the holiday and retreat center “Alexis Zorbas”, they also composed and performed many Mantras, Bhajans and devotional songs which have been recorded on their CDs. The focus of their music is to open the heart for love. Love for God, love for the divine, love for truth and happiness which they have been sharing all over the world, up to now. 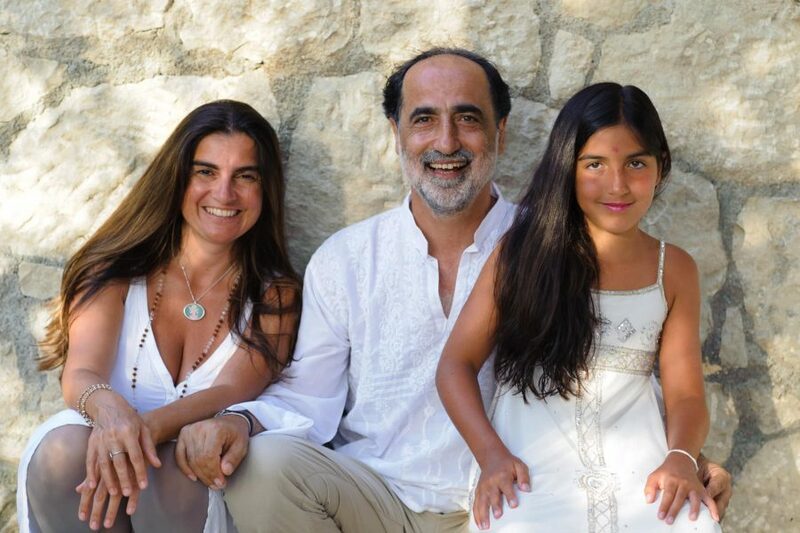 Their life as a family, raising a beautiful daughter, has been a source of inspiration as well as all aspects of life are sacred. Bhakti and devotion in action. In their concerts one feels the source for this love that we all share in our hearts and one gets inspired to allow and trust. And this love-spirit is expressed in their music, in Satsang and various retreats all over the world.